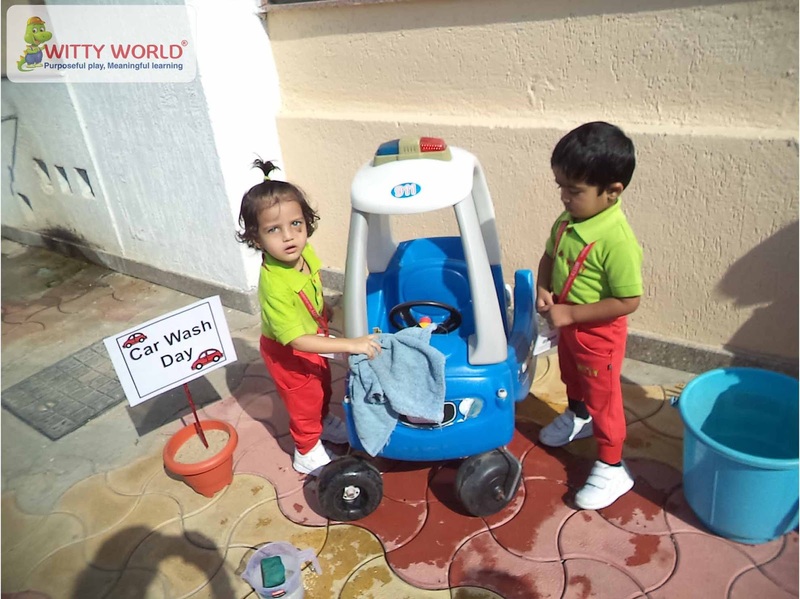 The happy car said “Thank you! Goodbye!! 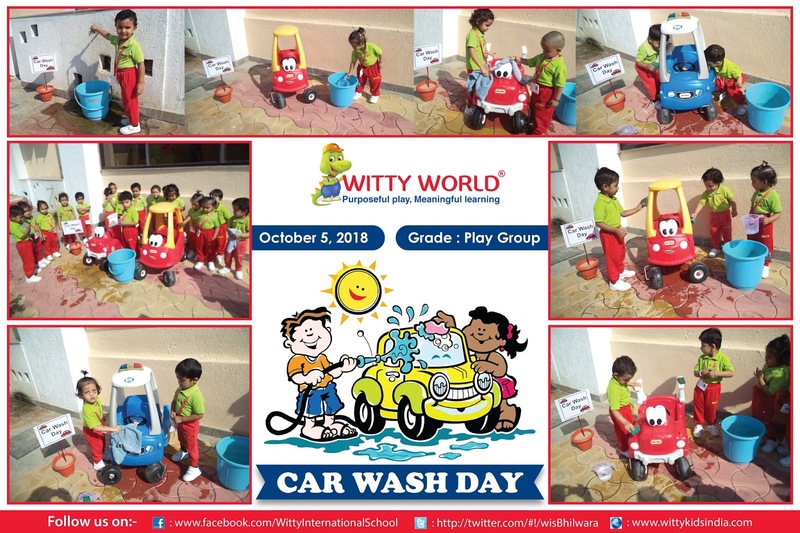 Car was introduced as mode of transport to little Wittians of class Playgroup of Witty World, Bhilwara on October 05’ 2018. 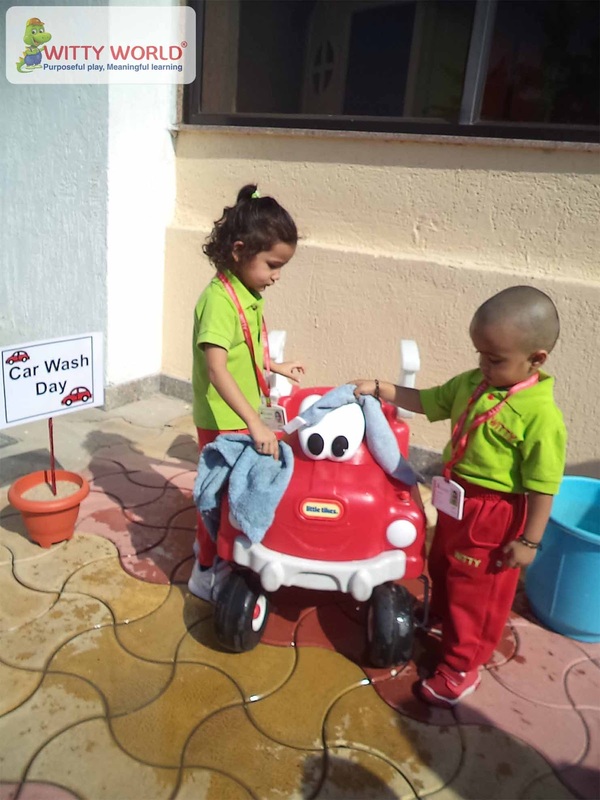 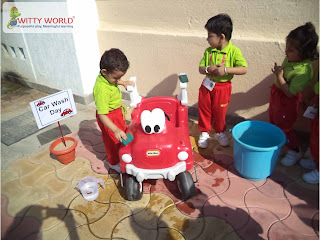 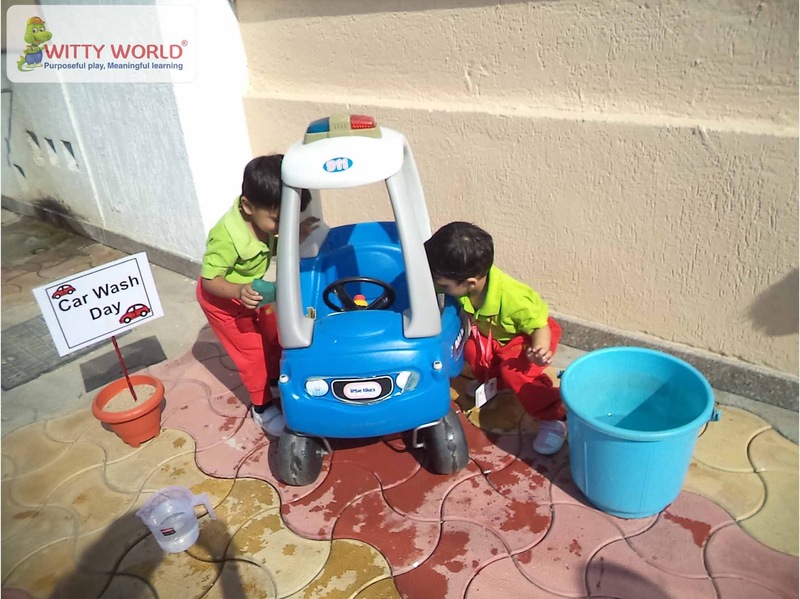 Children became aware of different parts of a car like four wheels, horn, steering etc.Teacher explained the way to clean the car. Children practically washed the car with sponge, water, cloth etc. 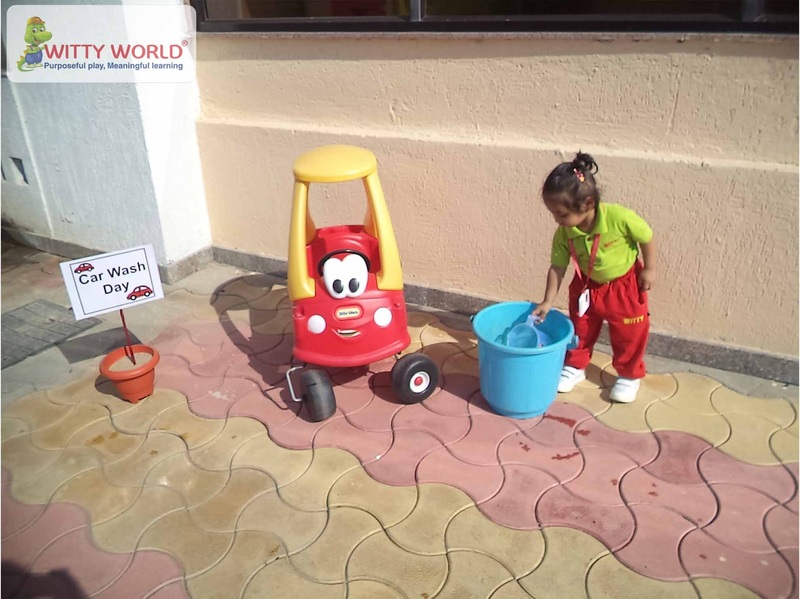 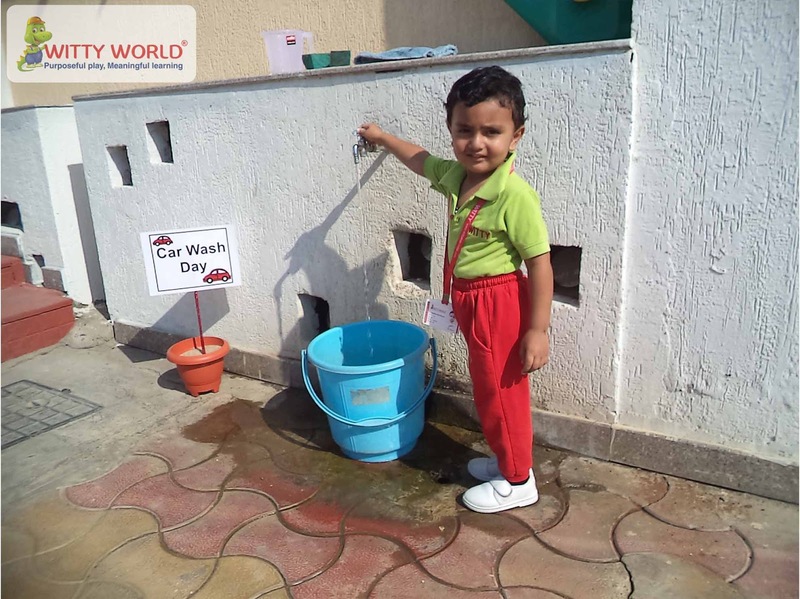 Children were amused to wash the car and planned to wash their own car also. 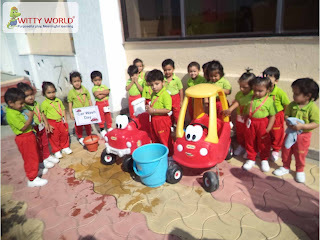 It was a fun loving learning experience for children.